It looked like Sabri Sediri had all but locked up the WBO European super lightweight title at Leicester Arena on Saturday night. That was until the final 30 seconds of the fight. 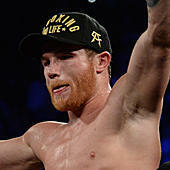 Sediri began to taunt his opponent, Sam Maxwell, by dancing around the ring and putting his hands behind his back in anticipation of earning a decision victory. Let's just say Maxwell took advantage of the opportunity given to him. Maxwell cold-cocked Sediri with a huge right cross that left him in a heap on the canvas. It was an unbelievable comeback for Maxwell, who was knocked down twice early in the fight. It was the first career title for the 30-year-old from the United Kingdom. He is 11-0 in his career with nine knockouts. For Sediri, it was the first loss of his career. He was 10-0-1 coming into the fight with five knockouts. Let that be a lesson to those boxers out there: if you're going to taunt, you better be fast enough to miss those knockout blows.